Every quarter, like clockwork, the General Aviation Manufacturers Association (GAMA), issues its delivery report. I’ve used their data in the past (see HERE) and I appreciate the work they do for the GA producer community. For the past few years, these reports have not exactly been a bright spot, with fairly small numbers of aircraft reported delivered and trends sloping downward. Thanks to my LAMA associate in Europe, Jan Fridrich, ByDanJohnson.com also reports airplane activity, although Jan and I use FAA registration data modified only by our intimate knowledge of the light aircraft industry. Both GAMA and LAMA must interpret some info as these data sources are more slippery than you might think. For each organization the best info is that which you can distill over years of reporting. If the detail may have potential errors (usually small) the long term trends are more reliable. I want to give you a small glimpse at GAMA’s numbers for the first nine months of 2016. I am well aware such info is not why you come to this website. However, as GAMA has coaxed a few of the larger LSA producers into its membership, I found some facts of interest. Tecnam’s lovely Astore resembles the Cirrus but costs a fraction as much. The best news was Tecnam’s numbers. 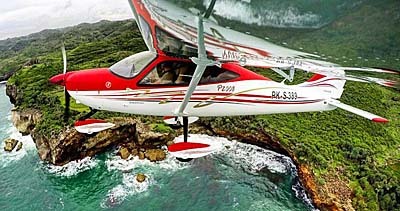 This Italian company has been a major force in light aircraft production for years. That isn’t changing; in fact, it appears certain to accelerate. From GAMA’s numbers I ignore all the business jet, turbine, helicopter, and ag-plane data. That stuff interests me and most readers only peripherally. So, I look solely at their Single Engine Piston (SEP) data as the closest comparison to LSA and light kit aircraft. GAMA reported 601 SEPs for the first nine months, or 800 annualized. Of that, Tecnam logged 122 units for better than 20% of all GAMA SEPs. This does count all their aircraft with one engine including their Type Certified P2010 four seater as well as their LSA models, the latter accounting for 53 units or 71 annualized. GAMA decided from info supplied by Tecnam which ones were LSA, referring to their ASTM standards compliance. The GA organization leaves LSA out of their summary tables but includes those stats in their detail info. To compare, Cessna reported 127 units in the same nine-month period. So, short by only a hair, Tecnam produced as many SEPs as did giant Cessna. 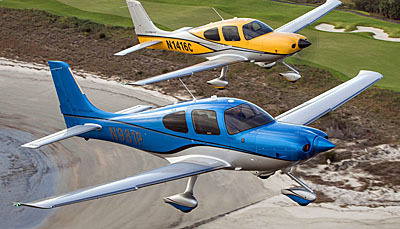 Both significantly trailed Cirrus, which logged 226 units delivered (38% of all SEPs), by far the best in the list. Other GA producers, in order, were Diamond (46) and Piper (41), trailed distantly by Bonanza (16), Champion (15), Mooney (5), and Maule (3). 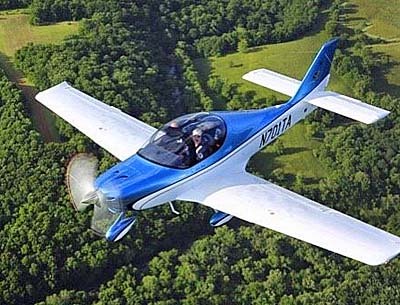 The only other LSA producers included on GAMA’s review were Flight Design (19) and CubCrafters (27… of which 22 were LSA). Flight Design is going through reorganization and how GAMA will handle that change remains to be seen. CubCrafters, with 22 LSA (all Carbon Cubs, zero Sport Cubs) annualizes to 29 LSA and that is far off their hot pace the last few years. In 2015, the West coast Cub-like builder slipped from their one-a-week rate in the preceding few years and 2016’s info appears to slow further. Could the number of potential buyers of $200,000 Cubs be dropping or is this just a temporary slowdown? CubCrafters has competition from American Legend and various European suppliers of very similar aircraft (SportairUSA‘s Shock), American variations (Just Aircraft) that perform even better, and still others with more affordable prices (Rans). All that said, Tecnam clearly looks like the strong company in light aviation with numbers way ahead of whomever comes second. The company has a wide line of several LSA (P92, P2008, Astore, etc.) plus the dual-Rotax Twin, the newer P2010 GA model and an 11-seater in progress. Good for Tecnam! Filed Under: American Legend Aircraft Company, CubCrafters, Just Aircraft, Rans Incorporated, Splog, Sport Air Aviation, Tecnam North America, Tecnam US Inc. Although it may seem countintutitive, I would contact Tecnam’s U.S. representative (in Sebring, Florida). While their main objective is to sell new Tecnam models, they often have fine used models — or know where they may be located — because they may take one in on a new purchase. If they can offer nothing, you have many publications that list used aircraft including those from Tecnam.